Jordan Liam Davies is passionate about delivering exceptional client experiences. He is your all in one concierge service for Los Angeles, helping buyers and sellers meet all their real estate goals. 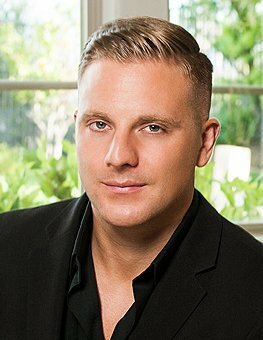 Jordan works with an extra sharp team ranging from Escrow, Mortgage and Interior Designers which facilitates all his successful closings. You can be sure all your expectations will be met with the up most efficiency and integrity. With his exceptional background in multi-channel marketing Jordan uses all the highest marketing practices and the best in the business tools to use in unique and creative ways, producing very impressive results helping you sell or purchase the home of your dreams. Having grown up in Devon, England Jordan has notable ties in the European and International Market (A member of the local MLS, The MLS and International MLS, Proxio). Being extremely well cultured and travelled enables him to work and negotiate with everyone from all types of backgrounds creating a successful elated close. In Jordan’s spare time he is a passionate soccer fan and has previously coached and still plays often. Jordan is considered a big foodie amongst friends, often trying out new restaurants throughout LA weekly. He is also a big wild life advocate and is part of The Born Free Foundation where he sponsors two rescued tigers, Roque and Jasper.